With 3 boys and a 4th baby immanent it really is only a matter of time before I wind up in the hospital with one or more of them. It's something I try not to think about, but in reality it is something I should be preparing for. And preparing my kids for, without scaring them witless! We're taking a look at Monkey Wellbeing to make the job easier. The project was inspired by the mother of an 18 month old girl who needed surgery. In an attempt to help her daughter relax and not feel scared she made a book about a toy monkey who went to the hospital for the same procedure. It was an incredible success, and the hospital themselves commissioned further stories. The story of how all this happened is well worth a read and can be found on the Moneky Wellebing site here. My kids are 6, 4 and 2. Jack (6yo) got very excited about the activity book that we were sent, and has a read of the story himself. Tom & George have loved having the story read to them, it seems to have worked its way into the "bedtime story box" and in the last week has made no fewer than 4 appearances! 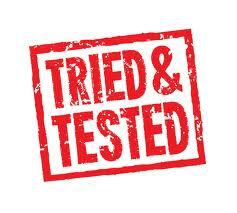 Fortunately I am not having to take any of my kids for blood tests at the moment, but they do know that their Mummy has had a LOT of blood tests lately since I'm pregnant again. Every time I tell them I'm off to see the midwife or I have an appointment at the hospital they ask if I will be having another blood test. It used to worry them that I had so many hospital appointments and blood tests (I am being monitored for gestational diabetes so my blood is tested a lot), even my eldest who is normally well grounded would worry and cuddle me lots, and be deeply upset if I came home with a bruise on my arm. Last time I was in Maternity having George, Jack & Tom were in tears leaving after visiting time because they hated the thought of Mummy and Baby Brother being stuck in the scary hospital. Now they aren't worried at all! 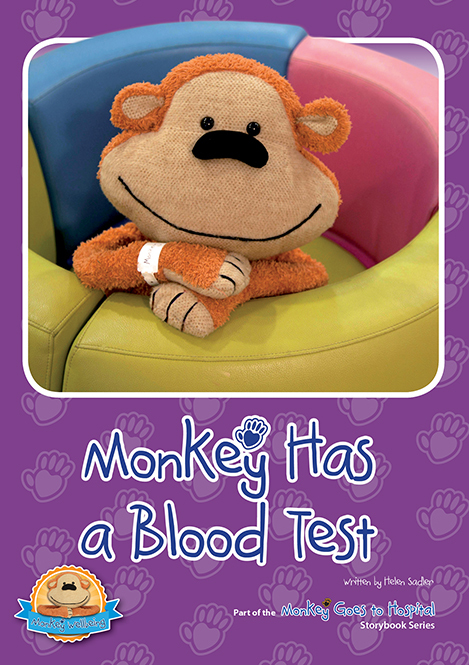 Monkey was able to reassure them better than me that having blood taken was not a scary or painful thing really. And if THAT'S not scary, then maybe nothing else is either. I think the prices are very reasonable. The stories are less than £3 each. You can even buy a Monkey Wellbeing Puppet to use with them for just £9.95. 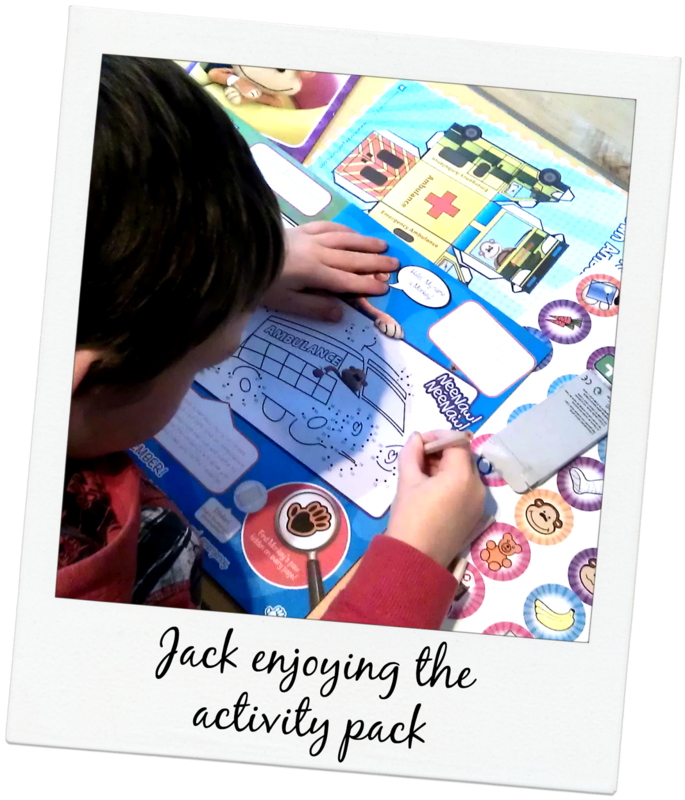 The activity pack is a great deal for £3.95! All views and opinions in this review are my own and that of my family. I have not been paid to make this review, but I was given some books & activities for free.